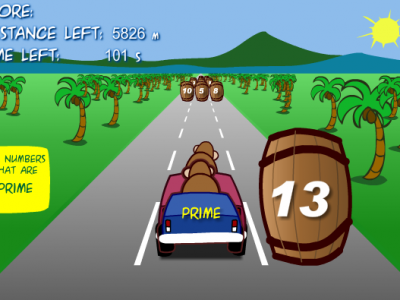 Work on recognising prime numbers by crashing into the barrels displaying a prime number. 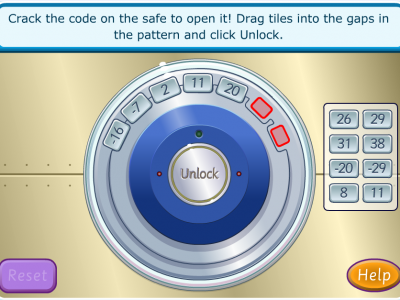 You must complete the sequences by recognising and completing the number patterns. A cool game to develop number bonds skills up to 100. You must fix the slide by creating bonds.